Well we are less than 30 days shy of fall (sigh). Here in North Carolina it's already starting to get cooler in the evenings and the mornings are very cool as well. So I thought that this Frugal Finds post should focus on light Jackets and Cardigans. These items or ones similar can keep you warm on the cooler mornings and at your desk at work when the AC is kicking! I was first introduced to the Joe Fresh brand in the year of 2012 in JCPenney. I frequented JCPenney a lot because of the great prices they had adopted after having a new CFO. 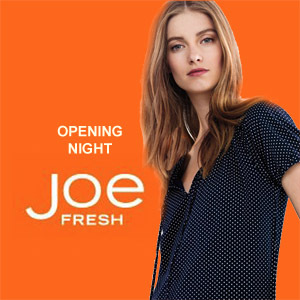 Joe Fresh is a Canadian brand that is sold in JCPenney, but they also are an online retailer. I really liked the fit and the style of the clothes, the fabric is breathable and doesn't feel or seem cheap in quality. I've actually bought a few pieces that are apart of my "favs" in my wardrobe. Including a pair of distressed denim boyfriend jeans. If I could describe it, I would say it gives me a Target meets T.J.Maxx feel. The price point of Joe Fresh is between $10-$100, not too bad in my book plus JCPenney always has coupons and sales. Check them out yourself! Macy’s has been a beloved and successful store for generations because of its great selection of high-quality items and popular brands at good prices. And while even the most novice shopper can score good deals at Macy’s, the store rewards savvy shoppers with lots of opportunities to save a ton of money. Because the Dealspotr team wants to help you save as much as you can, we put together these top tips to save the most money at Macy’s. The new Plenti Rewards Program is a great way to get rewards and discounts across multiple platforms. Run by American Express, the free program offers rewards for shopping at Macy’s, plus stores including Rite Aid, Exxon, Hulu, and Enterprise Rent-a-Car in a similar manner to a grocery store loyalty card. Plus, there’s no obligation, fees, or credit consequences. For every $10 spent on qualifying Macy’s purchases, you’ll earn 1 Plenti point, and you’ll get 2 points for every $10 Macy’s beauty and fragrance purchase. Every 100 Plenti points equals $1 and can be redeemed after you reach 200 points. Plenti also occasionally offers special promotions, including earning 200 points the first time you spend $100 at once at Macy’s. What sets Plenti apart is that points can be combined from multiple stores. For instance, every gallon of fuel at Exxon equals 1 Plenti point, so things add up quickly. To maximize your rewards value, save your points for a year and redeem them at once for a more expensive item, which should be free or sold to you at a great discount. Plenti points expire after two years, so don’t let them sit around for too long. Although Macy’s offers a high number of coupons and promo codes, most codes come with a lengthy list of exclusions, even for “store-wide” coupons. Frequently on the exclusion list are luxury brand items and items from many of the store’s departments. Pay close attention to the fine print and the expiration date, as some coupons are only available to Macy’s credit card holders and many codes expire quickly. Even with the restrictions, Macy’s coupons and promo codes can lead to huge savings when you put the time in. 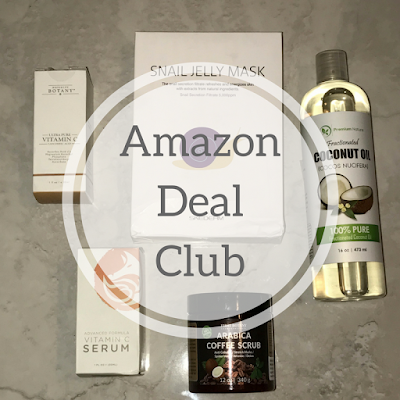 Because Macy’s releases coupons almost every week and rotates through the items that are included, you can get the items you want for a great price if you are patient enough. We post Macy’s promo codes on Dealspotr.com as soon as they are released, which often occurs on Fridays. Macy’s also frequently includes fliers and coupons in local newspapers or in the mail towards the end of the week. Macy’s sells a huge number of items, which means store space is a hot commodity. As a result, the store is frequently trying to cycle through items and announces huge clearance sales to clear out inventory. Macy’s almost always has a clearance sale going on in at least one of its departments, and the sales can produce some amazing deals on top items. As with clearance sales at other stores, the deepest discounts are on items that are heading out of season, such as swimwear towards the end of the summer or coats and boots around February and March. Even towels with spring details or in pastel colors often go on clearance as the weather starts to cool. Just for signing up for a free profile on Macys.com, you’ll get a coupon for 15% off your next purchase. Creating a profile only takes a few minutes and requires your name, address, birthday, and gender. An easy way to get multiple 15% off coupons is to set up profiles for friends and family who aren’t currently on Macys.com. Simply use their email address and have them send you the coupon once they receive it. Macy’s sets itself apart from other department stores with its app that is useful to customers shopping on a budget. Our favorite section is “My Wallet”, which lets you save promo codes and coupons and then automatically applies them to your online or in-store purchases, so you’ll never forget to use a coupon. You can also use the app to see the store’s current promotions and sales and sign up for push notifications to be the first to know about a new sale or coupon. Macy’s charges shipping fees on most orders, but you can save by picking up online orders at your local Macy’s. Like many other stores, Macy’s takes advantage of social media to share information of new sales and promotions. Check its Facebook page for news on free gifts with purchase, as well as in-store events, giveaways, and charitable donation opportunities. Social media is also one of the quickest ways to reach Macy’s customer service—simply send the company a Facebook message or tweet instead of having to sort through an automated phone system and wait on hold. Using a promo code is a great way to save when making an online purchase, but finding those codes can be challenging, frustrating and time consuming. 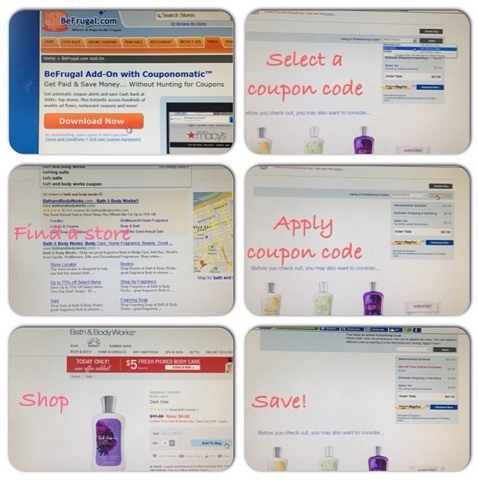 With the BeFrugal free Couponomatic browser add-on, you will not even need to look for a promo code! This tool magically presents you with a drop down list of promo codes when you are at the checkout stage of 3,000+ online stores, you can even earn cashback. So head over to BeFrugal and join today, and don't forget to download the free Couponomatic browser add-on. Fall is close to a month a way but here in NC we may have about two more months of summer left. As I stated in my previous post there are tons of store having great sales off fall arrivals and summer items. But we want to equip you with items you should look out for and purchase if the price is right! Denim Boilersuit - Grab that jumpsuit! You'll wear it a couple times this fall and winter if possible. It can be dressed up or down for a casual day out or a night on the town. Rib Knit Flare Co-ord Set- Keep it comfortable this season with a knit co-ord set. Great for traveling, running errands or doing just about anything! Suede Skirt - Paired with your favorite v-neck tee or a lace-up top, you can turn heads at your next upcoming concert this fall. Check Print Tunic- Plaid, checker just about any stripes return each and every season. Perfect when paired with white, black or blue denim with torn open knees slits. Sleeveless Duster- I've worn my more than I can count on both hands so I know for a fact this should be a purchase this fall! Grab one so you don't wear out your everyday cardigan. 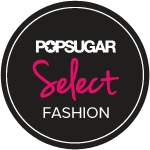 What items are you eyeing for your fall wardrobe?? So I had an entirely different look for less planned for this month, but this one fell into my lap. Sophia is a new footwear designer whose shoes have been seen on Solange, Janelle Monae, Cara Delevigne and more. She is known for eye catching designs. 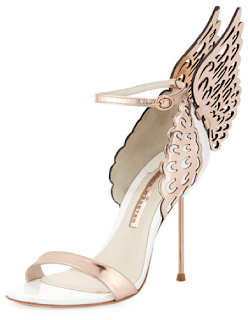 One of her signature designs uses butterflies on the back of the shoe giving the illusion that you're going to fly away. Well, Ive found a look for less check it out below! If you haven't made your shopping rounds within the last few weeks you are currently missing out on the best time to shop for more summer apparel and sometimes discounted fall apparel. I've been in a few stores and received emails about GREAT discounts on old and fairly new summer apparel and in my opinion this is the perfect time to shop for the remainder of the summer and for next years summer wardrobe. Sales ranging from 30% up to 70%! Check out these store below online and in-store to find out what deals are going on now! Target: 40% All Women's, Men & Children Denim. Old Navy: 60% Off All Swimwear. All Shirts On Sale. Go Jane: 25% Off All New Arrivals. Free Shipping No Minimum! Well, well... bell bottoms are definitely one of those trends that finds it way in our wardrobes year after year but could you blame yourself. 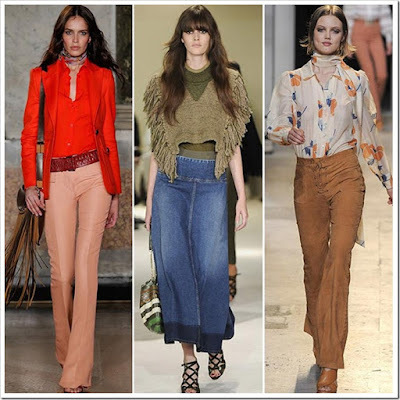 Bell bottoms by definition are pants with legs that become wider below the knee. They were extremely popular during the 60's and 70's. 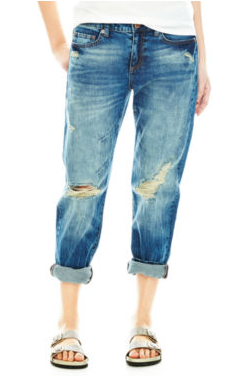 The form fitting, hip huggin' flared bottom jeans has been this summer top pick for pants. Paired with your favorite lace-up flared sleeve top or basic crop top and edgy clutch, you'll be sure to turn heads or showered with compliments. Below are some bell bottom/ flare pants that are my top picks for this trend. We are well into the summer and my all time favorite item this season was the lace-up trend. The first time this year that I saw this look was on Kim K. She wore a lace-up bodysuit by Givenchy. I knew for sure if Kim is wearing it that it definitely wasn't in my price range. But as always the Frugal Shopaholic gods swooped down and created cheaper version of the Givenchy bodysuit. In addition to that I ran across other lace-up tops and dresses. Below are some ways to style the lace-up look, along with a link to browse.